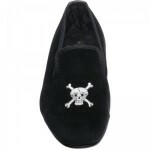 The Herring Skull slipper is a classic velvet slipper handmade in England. 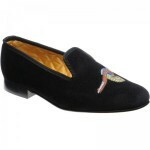 Featuring a luxurious quilted lining and hand embroidered skull, they’re not your average slippers. Last Thursday my wife ordered a pair of slippers for me as a birthday present. The goods duly arrived on Monday complete with polish and a shoe horn. 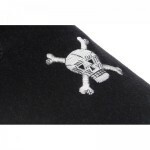 I just wanted to tell you that I am extremely impressed with your efficient service and how I was pleasantly surprised to receive the unexpected, extra goodies. Thank you very much indeed, much appreciated.